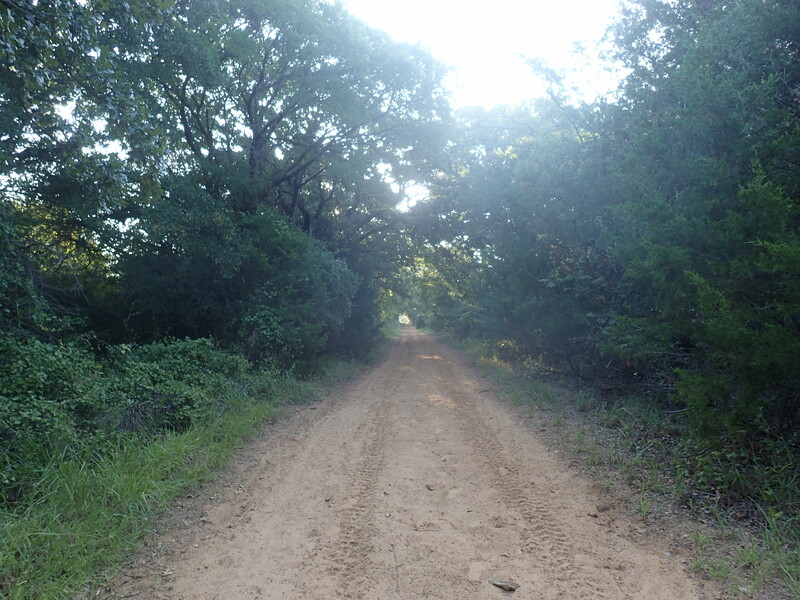 This hike is 4.5 miles from the Bluestream Grove camp area of Lake Ray Roberts and comes out at FM 1192. However, I decided to actually start at the park Headquarters. That made this a 6 mile hike; 12 miles round trip! It was long…but luckily the path is pretty level. I started out around 6:30a.m. 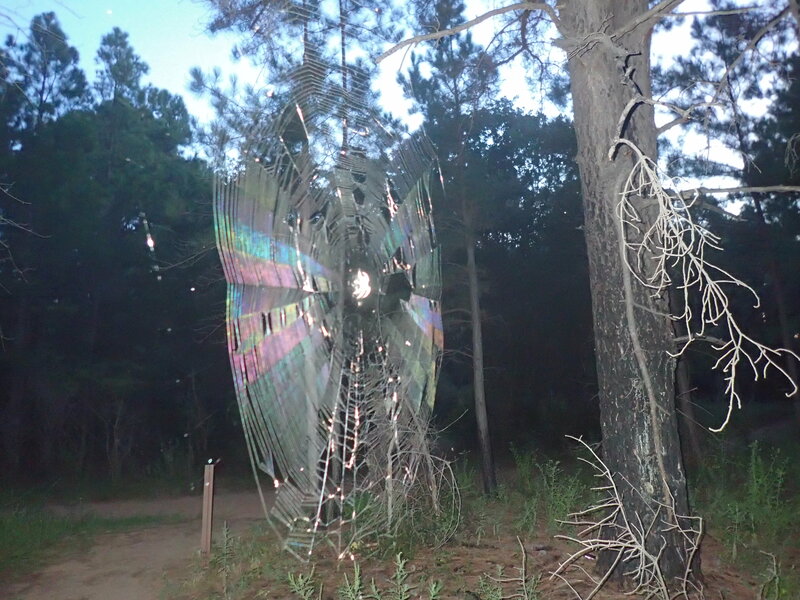 First up…this really cool spider web! I love how the web refracted the light. Now I don’t mind spiders. However, I despise spider webs. Unfortunately being “first” on the trail comes with a price….you end up breaking down all the spider webs on the trail. And once you get wrapped up in one, you can’t help but feel like you’re wrapped in it and can’t get rid of it. You can’t see it, buy you feel it and it feels creepy….<shudder>. It was going to be a long morning. 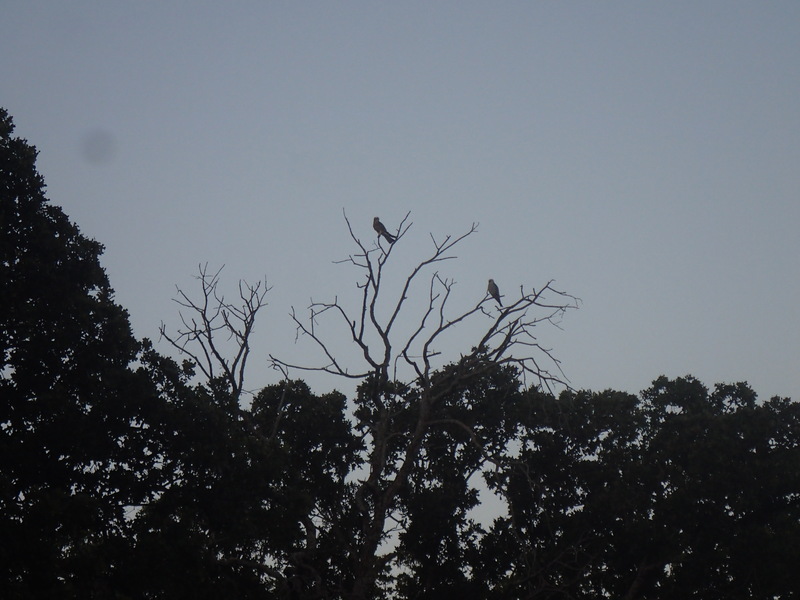 Up next a couple of Harris Hawks kept watch and probably laughed at my poor attempts to rid myself of the latest round of webs. From headquarters to BlueStream Grove is little over a mile. 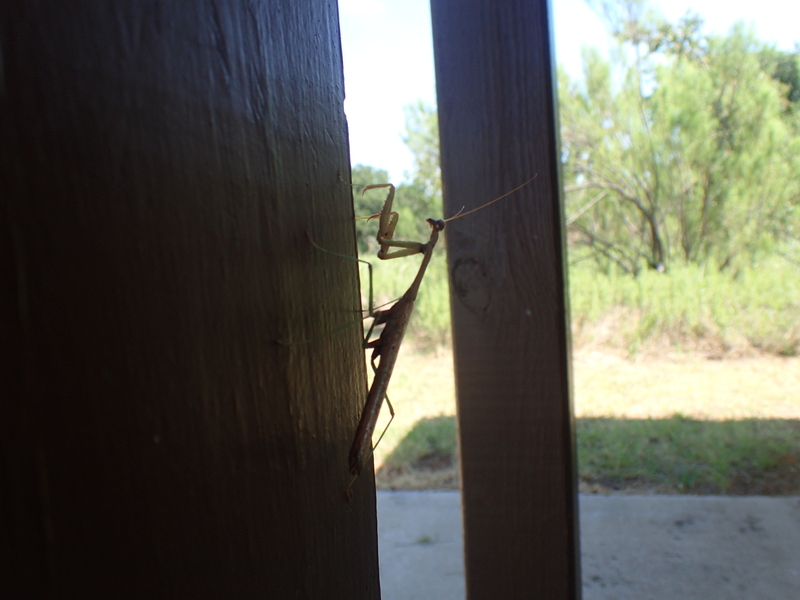 Once you come out at the camp area head toward the restrooms and you’ll find the Lunging Area. 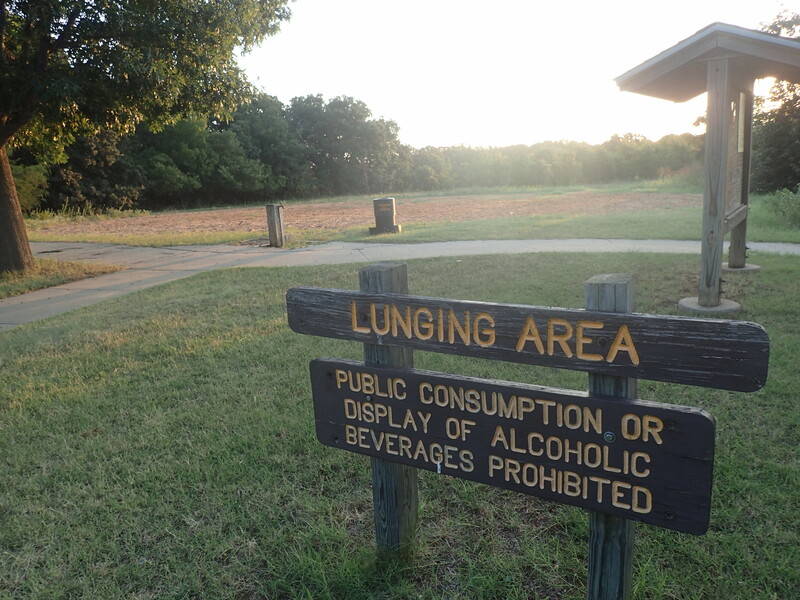 Lunging Area…what the hell is a “lunging area”? Apparently lunging a horse is to work the horse in a circle having them speed up or slow down based on voice commands. Why a park would need one of these is beyond me…but okay. Go past the lunging area along the right side of the circle and you’ll find the trail head for the Jordan Park Trail. 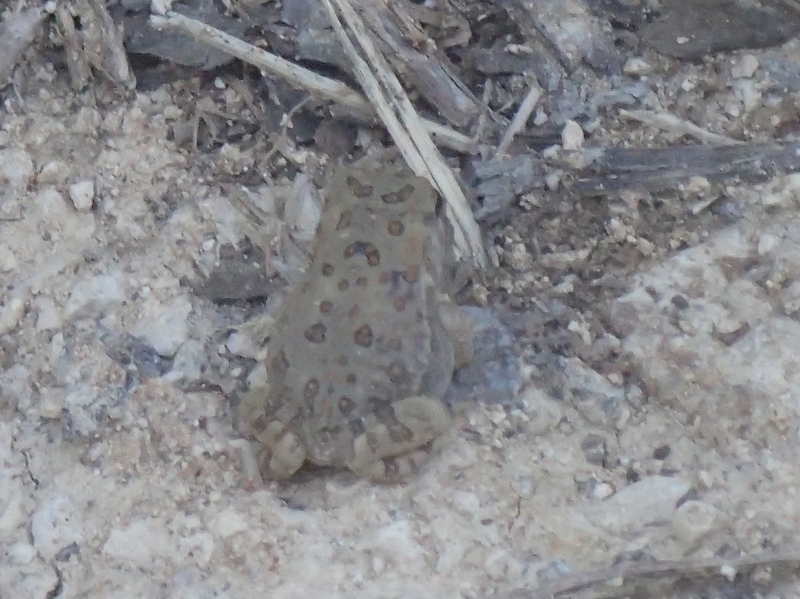 Tiny frog…almost missed seeing him. As I got within a mile of FM 1192, I had startled a flock of cardinals. As I stopped to watch them flit through the trees I turned back to the trail just in time to see my first Bobcat! He apparently had been out hunting as he had something in his mouth. He didn’t seem to know or care I was there. He was probably 3 yards in front of me as we quietly trotted across the trail with his kill and off into the woods! I finally got to FM 1192. Unfortunately there is nothing here. There’s a pull out where folks with horse trailers can park, but there are no services beyond that….as in no place to sit, no restrooms etc. 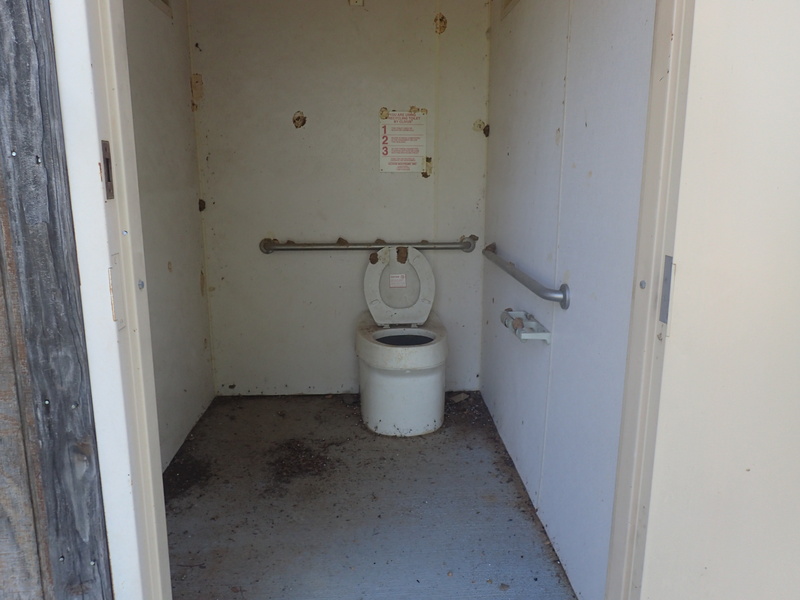 Okay….about 2 miles back on the trail I came across this pit toilet….but no. I’ll take a tree any day over this disaster. I’ll take a tree please…. While I would have continued on the trail, I was already at 6 miles. I stopped under a tree, had a bit to eat, drank some Gatorade and got back on the trail to head back. I stopped to talk with several groups of horsemen out taking advantage of the day. Just as I turned away from the second group, I saw something slinking through the woods….I recognized it as another bobcat. Or maybe it was the same bobcat. All I know is I was very surprised at how big they are. They’re about 30 to 40 pounds…they’re just a bit smaller than my dog! 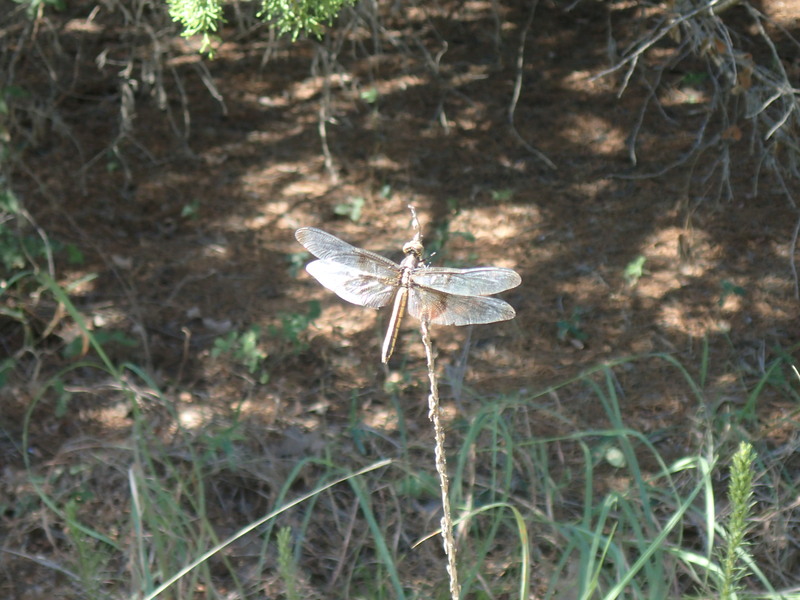 I did see a couple of deer as well during this jaunt as well as a variety of insects that were kind enough to stand still for me to take pictures. Unlike the deer and bobcat who I couldn’t get to sit in one place so I could snap a picture! 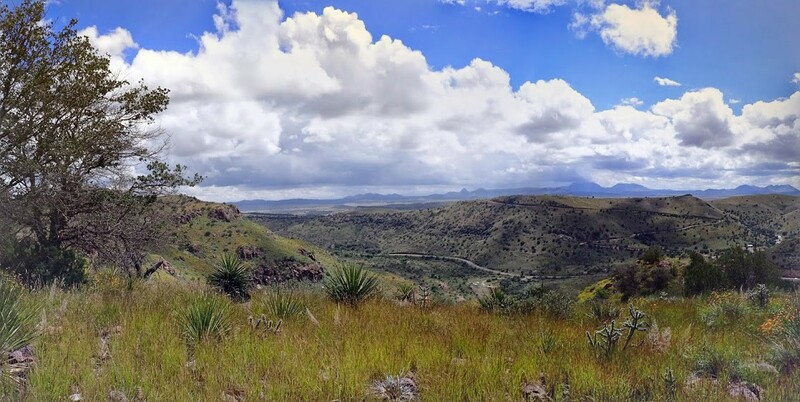 All in all a great little hike…although a little long. I was probably ready to be done at mile 10! I feel pretty good….just need to make sure I stretch before bedtime…else I may not get up tomorrow or when I do, I’ll be groaning….a LOT!